Blowout Sale! 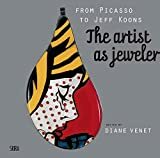 Up to 54% off on Jewelry at Book Sellers Union. Top brands include Schiffer Pub Ltd, Ecco Press, Metropolitan Museum of Art New York, Acc Art Books, Brand: Harry N. Abrams, Brand: Schiffer Publishing, Unicorn Press CA, Brand: Antique Collectors Club Dist, Schiffer Publishing, Ltd., Brand: Chilton Book Company, Antique Collectors Club Dist, Outskirts Press, imusti, Skira, Gibbs Smith, Harry N Abrams, Rizzoli, Gemstone Press, & Ciac Pr. Hurry! Limited time offers. Offers valid only while supplies last.